Wash your hands . It’s the single best way to avoid a cold. Once germs are on your hands, it’s easy for them to get into your body when you touch your eyes or mouth. Wash before you eat or prepare food and after you use the bathroom or change a diaper. If you’re taking care of someone who’s sick, wash your hands before and after being with them. Use hand sanitizer. It’s the next best thing if you can’t get to a sink. Keep a small bottle with you — at work, in your car, and in your purse. Buy one with at least 60% alcohol. Rub it all over your hands until they’re dry. Cover your nose and mouth . It’s one of the best ways to keep a cold or flu away from your friends. Cough or sneeze into a tissue, then throw it out right away. If you don’t have one with you, don’t cough into your hand. You’ll just smear germs on the next thing you touch. Instead, cough into the crook of your elbow. Disinfect your space. You don’t need to spend all day spraying disinfectant on every surface of your house. Still, if someone in your family is sick, use one to wipe down high-traffic spots: computers, phones, doorknobs, and TV remotes. Use disposables. Cold and flu germs can cling to fabric. So when someone in your house is sick, replace cloth hand towels and dishrags with paper towels. Remove water glasses and add paper cups in the bathroom, too. For the best protection, get the flu vaccinewhen it comes out each year in October or November. But even later is better than not at all. It takes 2 weeks for the flu vaccine to take effect, and flu season can last into March or April. Keep your distance. 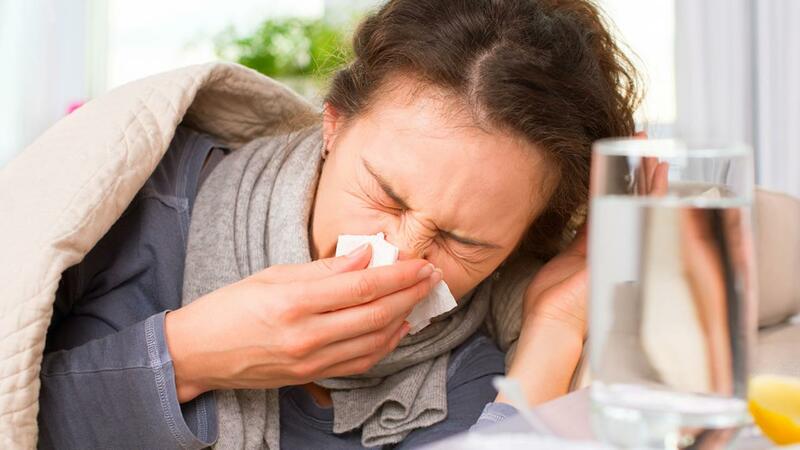 If possible, stay away from people who have a cold or the flu. If you can’t — because you’re caring for a sick family member, for instance — step up your hand-washing routine and your attention to other defenses against germs. Take care of yourself. Experts think that healthy living may help boost your immune system. So make sure you eat nutritious food, exercise regularly, and get enough sleep. Stay home when you’re sick. If you go to school or work when you don’t feel well, you can make a lot of people sick. Although a cold or flu might not be a big deal for you, it can be serious for people with weak immune systems, like young children, the elderly, and anyone with a long-term health problem. Working while you’re sick isn’t good for you, either. It can make it harder for your body to fight off a cold. So do what’s best for you and everyone else. Take a couple of days off.